Directions:Traveling east from 395 & 30A go approximately 6 miles to the corner of Walton Gulfview Dr. and 30A. 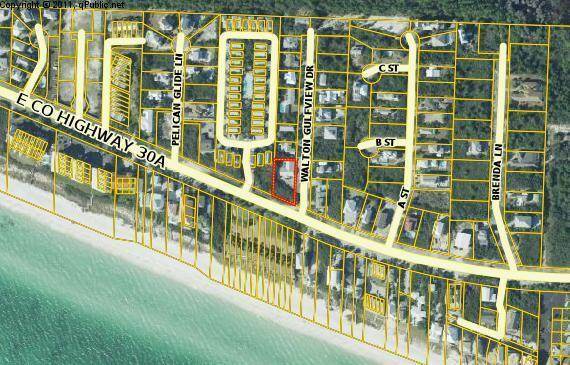 Home in on the northwest corner of 30A & Walton Gulfview Dr. Property is a quarter of a mile east of Camp Creek Parkway and 30A. SchoolsClick map icons below to view information for schools near 35 Walton Gulfview Drive Seacrest, FL 32461. Home for sale at 35 Walton Gulfview Drive Seacrest, FL 32461. Description: The home at 35 Walton Gulfview Drive Seacrest, FL 32461 with the MLS Number 815942 is currently listed at $843,000 and has been on the Seacrest market for 69 days. You are viewing the MLS property details of the home for sale at 35 Walton Gulfview Drive Seacrest, FL 32461, which includes 5 bedrooms, 3 bathrooms and has approximately 2644 sq.ft. of living area.